Sebastian Hawkins in order to make a little money on the side and after watching his Mother’s string of terrible relationships starts an online venture as “The Hook-up Doctor”. Sebastian doesn’t promise a long loving relationship just a hook up and he has a very good success rate. Until someone contacts him and all of his clever hook-up plans no longer work. I was not expecting to like this nearly a much as I did. I bought this on a whim looking for a quick but cute summer read. I got exactly that but it was also so much more. Nyrae Dawn creates easily likeable characters that you feel an instant connection to. It was great to see Sebastian grow as a character as the book progressed. I loved the moment when he finally figured out exactly what he wanted and how he planned to get it, even if all his plans did fall apart. 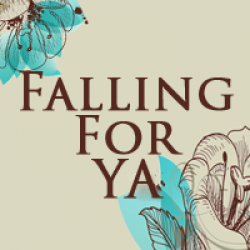 Actually, watching his plans fall apart and having him pick up the pieces was my favorite part of the story. The supporting characters also really shined in this book. I really liked Aspen, Pris, and Jaden and their friendship dynamic. I think my favorite supporting character was definitely Jaden though, he was interesting and I could tell that while he put on this tough man exterior inside he really cares about Pris and the friendship he shares with all of them. I am really excited to read the companion novel What A Boy Needs so that I can see things from his perspective. Overall, this was a great albeit short novel. I loved the voice that Dawn was able to give Sebastian and how well the characters interacted with each other. 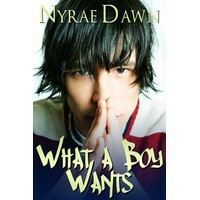 I am seriously looking forward to reading more from this author and am excited to see what happens in What A Boy Needs!